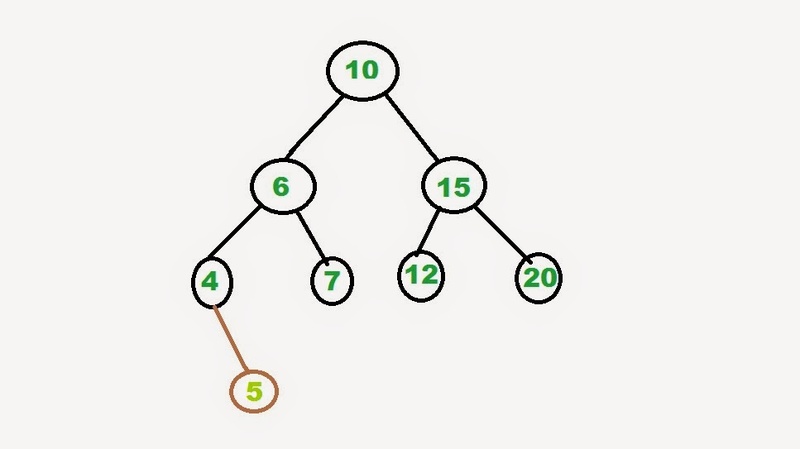 Elementary Operations on Binary Search Trees : Insertion | The Daily Programmer '+g+"
1. 5 < 10; so 5 will be in the left subtree of 10. 2. 5 < 6; so 5 will be in the left subtree of 6. 3. 5 > 4; so 5 will be in the right subtree of 4. 4. Since the right subtree of 4 is empty, 5 will be inserted there, i.e., as a right child of 4.